This entry was posted in Chase Day, Down Day, Epilogue, Forecasting, Human element, Logbook, NavBar, Nowcasting, Observation, Positioning Day, Prologue, Restaurant review, Season Summary, Training, TRAINING: ChaserCon 2016, Travel Notes and tagged 2016, chase, navbar on 2016-05-23 by Lisa Beal. 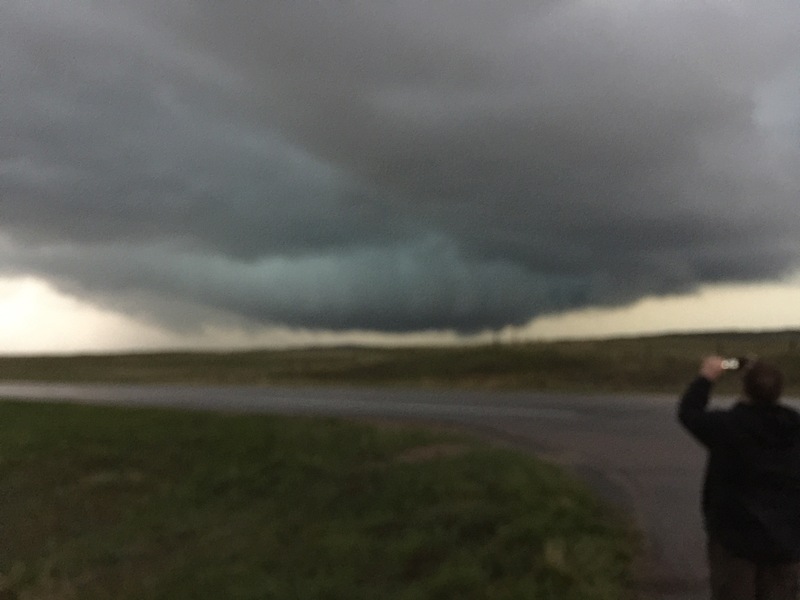 This entry was posted in Cameras, Chase Day, chase strategy, Forecasting, GPS, Human element, Logbook, Nowcasting, Observation, Photography, Recording, Travel Notes, Uncategorized, Videography and tagged 2015, Cherry County, Nebraska on 2015-05-16 by Lisa Beal. 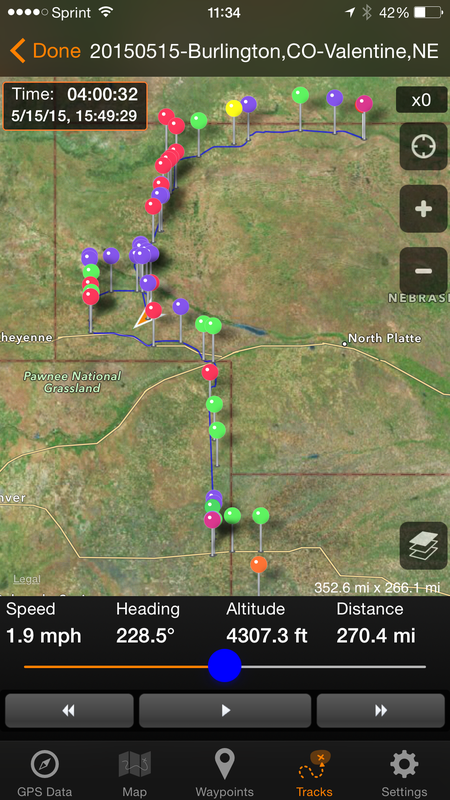 Day 6: 14May2015 – Northward, Ho! This entry was posted in Chase Day, chase strategy, Forecasting, Observation, Positioning Day, Travel Notes, Uncategorized and tagged 2015 on 2015-05-15 by Lisa Beal. This tour’s leadership includes veteran chaser and guide, William (Bill) Reid and drivers Bob Smith (a wildlife biologist) and Bill’s colleague, Rook, who used to work with him as a contractor meteorologist before the National Weather Service and FAA thrust the job of observations and Forecasting on air traffic controllers at small airports. 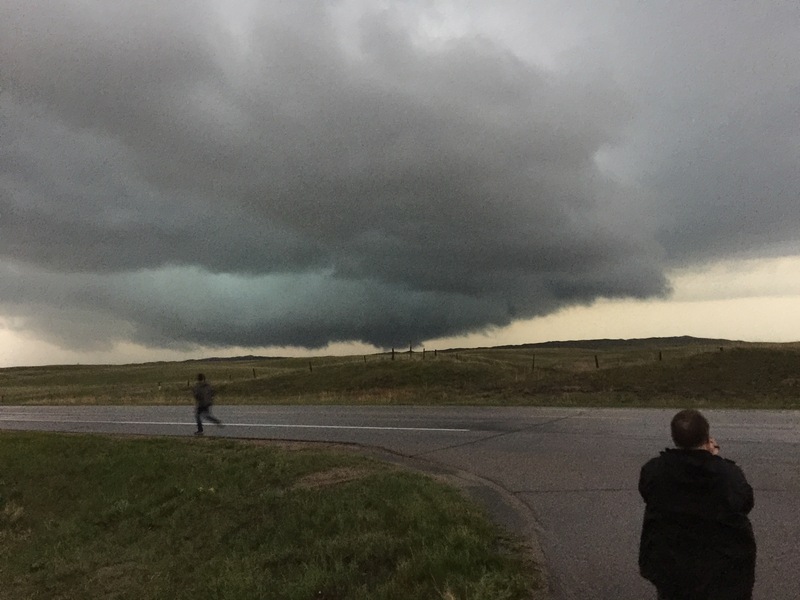 The rest of the team is a mix of returning chasers (like David Balfour and myself), first-timers from the UK and Australia, and a handful of sky-lovers from all across America (most of whom have had some kind of tornado encounter during their lives). About half of us are degreed scientists (meteorologists, biologists, chemists). Several of us work in IT. Many of us have desk jobs (and need a little excitement to break up the hum-drum routine). There are 16 of us altogether, two full vans of people. Our vehicles are comfortable 15-passenger vans with broad windows to offer a clear view of the sky from every seat. Over the years, the technology has evolved, so each van has onboard WiFi connections to the broadband modems used to download weather maps and forecasts, view BIll’s many chase trip logs, and exchange email between our laptops (and smartphones) and the outside world. Everybody has a little nook for camera gear and the snacks we carry (as real meals will be few and far between once the atmosphere recovers). 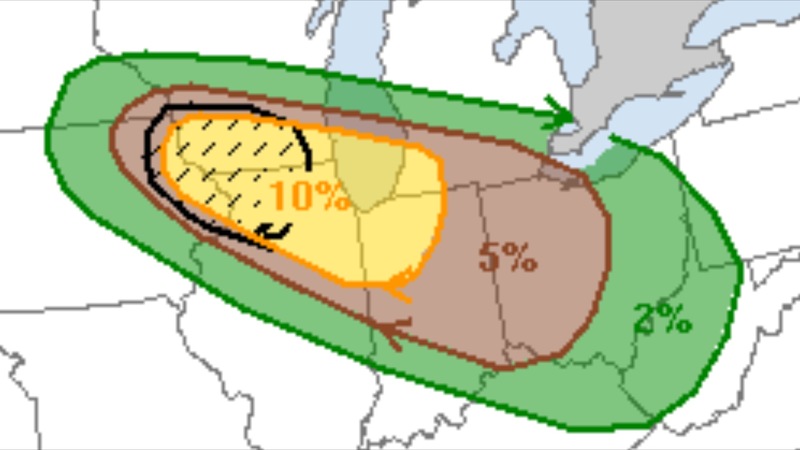 The weather briefing is a little bleak for the first half of the trip: Sunday’s tornado barrage in Nebraska has scrubbed the moisture out of the Great Plains, leaving us only a low potential to see severe weather far to our east (in the ‘jungles’ of Missouri). 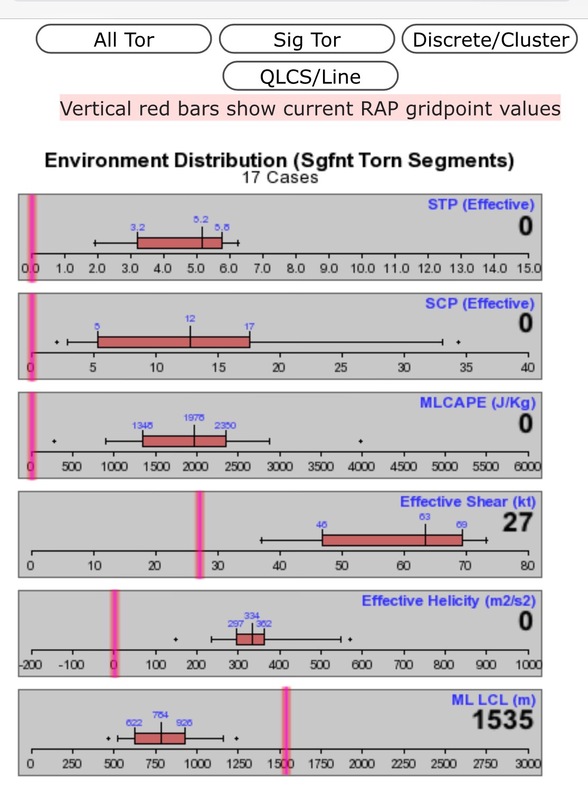 A strong ridge — the chaser’s arch enemy! — will dominate the plains for 4-5 days thereafter. 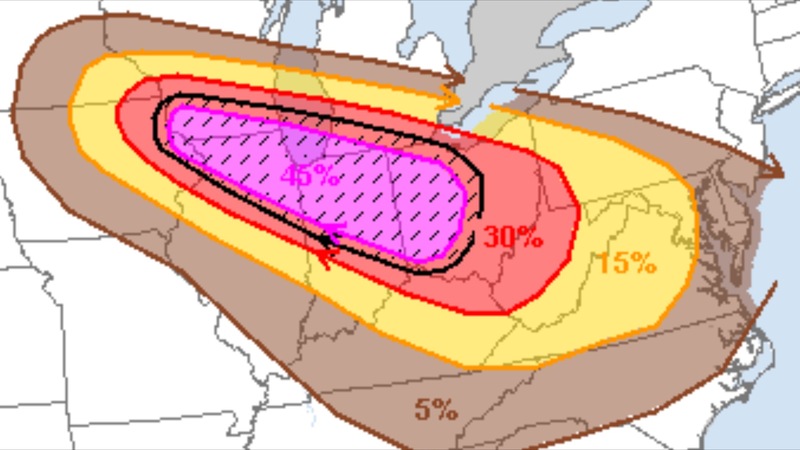 We get a refresher on the ingredients for severe weather, so we will be reminded when the outlook for chaseable storms improves. We also get our official T-shirts. This year, Tempest added a nice personal touch: a personal greeting tag attached to each team member’s shirt (pictured above). The shirts (pictured at right) feature tribute to engineering whiz and self-taught meteorologist Tim Samaras (left), his son and photographer Paul Samaras, and Tim’s longtime chaser partner Carl Young. Also depicted is one of the ‘turtle’ probes that this team would anchor in the path of oncoming tornadoes to measure temperature, wind, and barometric pressure. One of thsee 40-pound probes, an original design by Tim Samaras, took the first readings from inside a tornado (as well as video inside the funnel from ground level). The November 2013 National Geographic magazine talks about the life and death of Tim Samaras, who had received several recurring grants from ‘NatGeo’ for his groundbreaking weather research and amazing photos of his work. 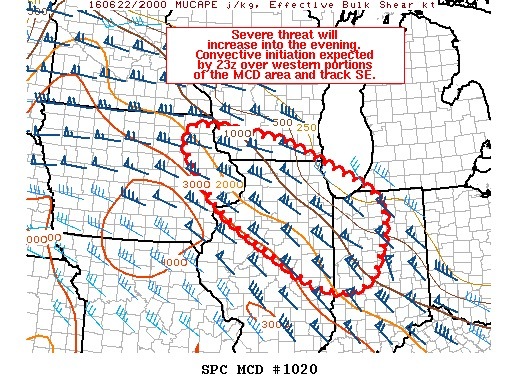 1045 – We depart for southwest Missouri, where our best chance — but not a great chance— for some storms exists. 1238 – Heavy rain as we pass through the Tulsa metro area. 1450 – cross into MO on I-44. For about 45 seconds, no rain, then car wash 2 begins. 1510 – we make a 10-minute pit stop at flying J in Joplin, MO, where and EF-5 tornado plowed through on 22 May 2011. The regional hospital in Joplin was so badly damaged, that they had to tear down and build a new one. Many people lost their lives that day. 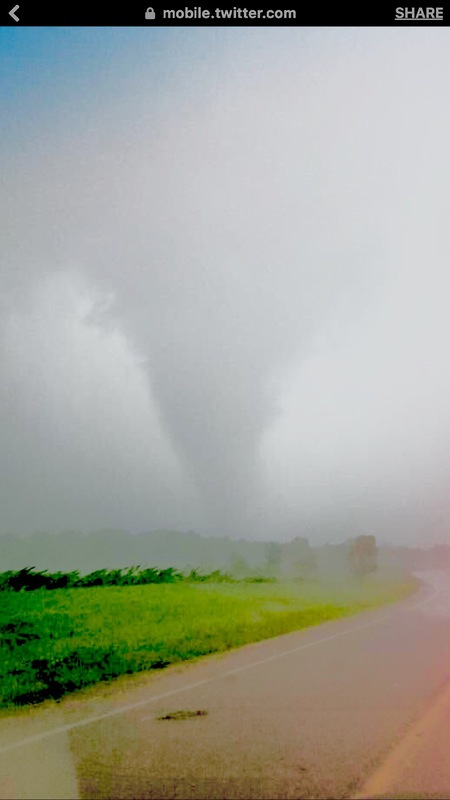 I was out with the Tempest Tours team chasing that day, but was near Southwest City, MO, several counties to the south. Today, the storms are only delivering rain and LOTS of lightning. Apparently, delivering lightning is a local specialty. 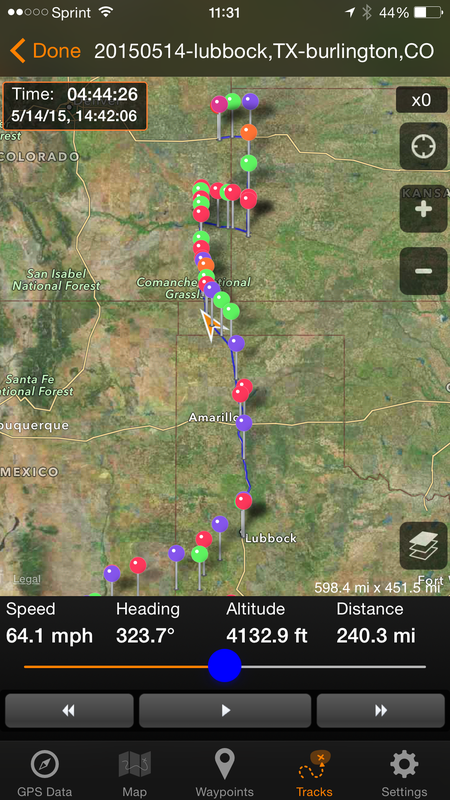 1525 – dpt Joplin for points east. 1541 – We take the Sarcoxie exit south. 1631 – We move south, past Verona, continuing eastbound on US 60E. Trying to get ahead of the outflow boundary into warm air, where we might see some lightning and hail together. We are briefly pinged by pea-sized hail. 1700 – We enter Springfield, MO from the south. 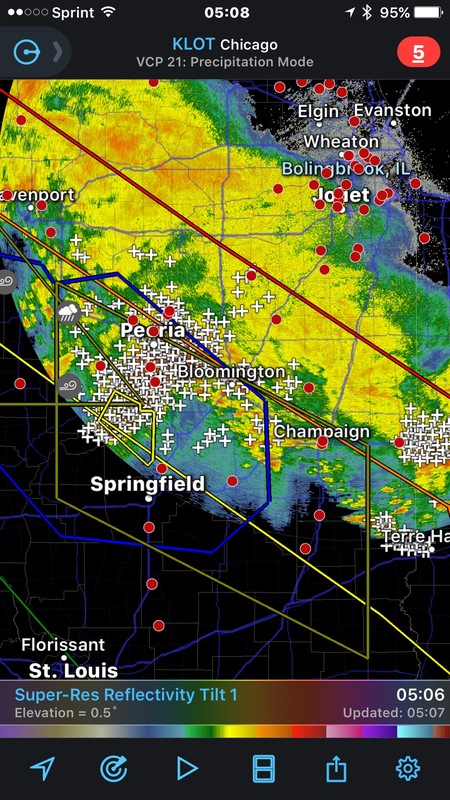 We have abandoned hope for today being a good severe weather day, at this point. It looked like we might see some good storms on the front of the outflow boundary, but they never materialized. We had a brief encounter with a storm that was dropping piece sized hail near Monett, but that is all. Mostly driving through a long car wash, getting wet, and everybody getting my impromptu mini-lecture on how all the various radar screens — reflectivity, base velocity, storm relative velocity, etc. work. 1745 – Check in at Days Inn (near huge, new Bass Pro store). WiFi here is DaysInnBassPro ( YES, really). 1900 – Meet for dinner. We eat at a local sports bar and grill, Bair’s. I opt for the buffalo chicken salad, a luxury meal compared to the convenience sore meals that lie ahead. We watch the Boston-Montreal hockey game (a warmup for Bill’s game, the L.A. Kings vs. the world). Bill jokes about the Cubs wasting all those runs, as the rain approaches. If the game is rain out before the 5th inning is done, it’s a ‘no-gamer’. (The Cubs go on to slaughter the Cardinals 17-5 in 9 complete inning. Nice try, Bill!) I remind Bill how much I’m looking forward to the Blackhawks-King series for the conference finals, should each of us cheer our respective NHL favorites on to victory. EOD – We return to the motel. Here our route for the days ends. We blow off a little steam with a lobby party. This particular Days Inn sells a little alcohol at the front desk. 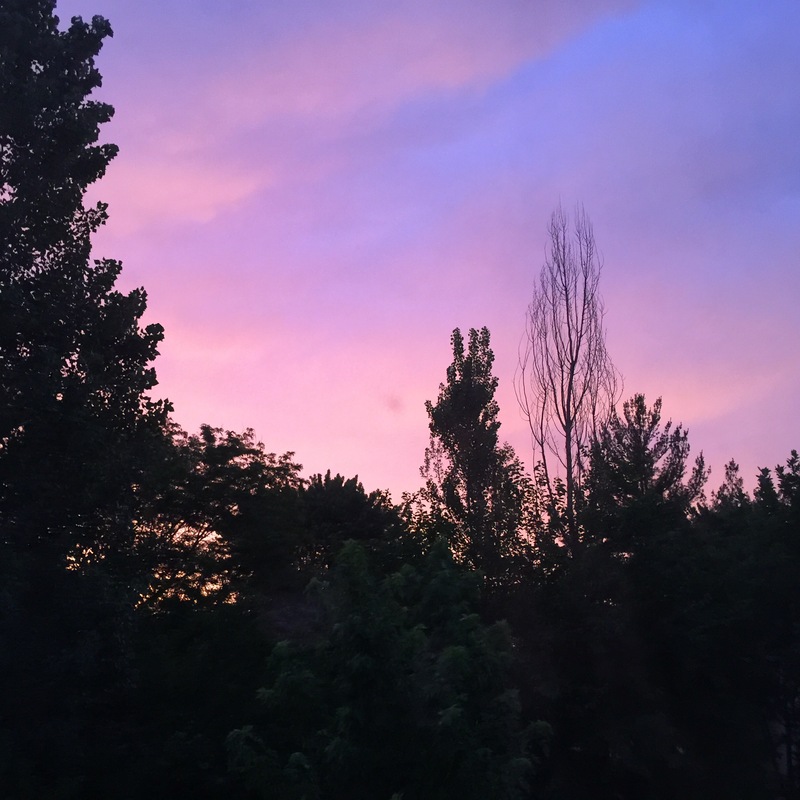 This entry was posted in Administrivia, Chase Day, Nowcasting, Observation, Travel Notes and tagged 2014 on 2014-05-13 by Lisa Beal. As the morning wore on, the air was increasingly humid. Definitely, “air ya kin wear’, to use a Northern Virginia-ism. 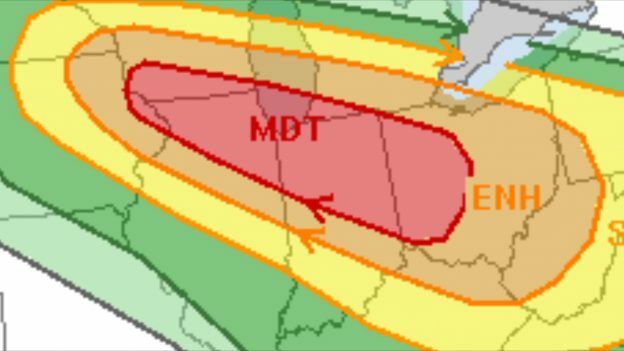 August 4, 2008 derecho event. On that day, the EF1 tornado in Bolingbrook, Illinois passed less than a mile south of my house. Too close for comfort! 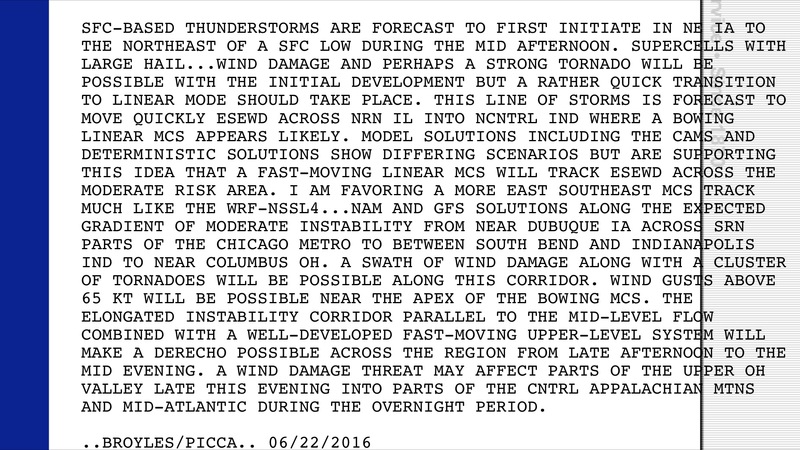 This entry was posted in chase strategy, Forecasting, Logbook, Nowcasting, Observation and tagged 2013 on 2013-06-12 by Lisa Beal. 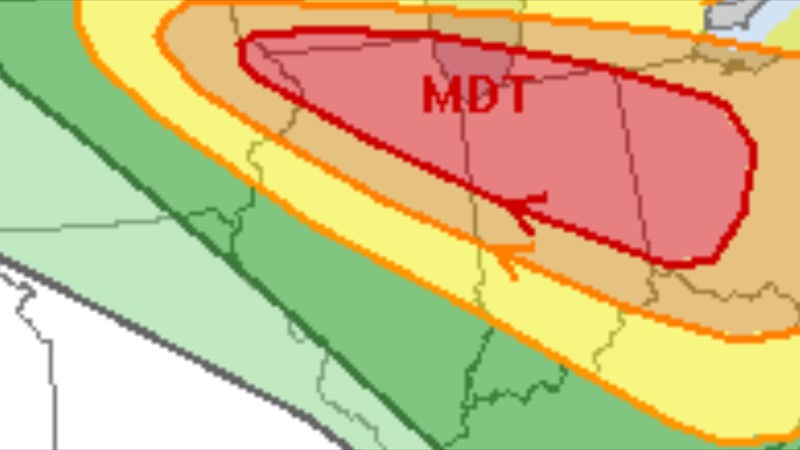 A MOD RISK day in Oklahoma (but I’m working in Chicago), so we’ll chase virtually. 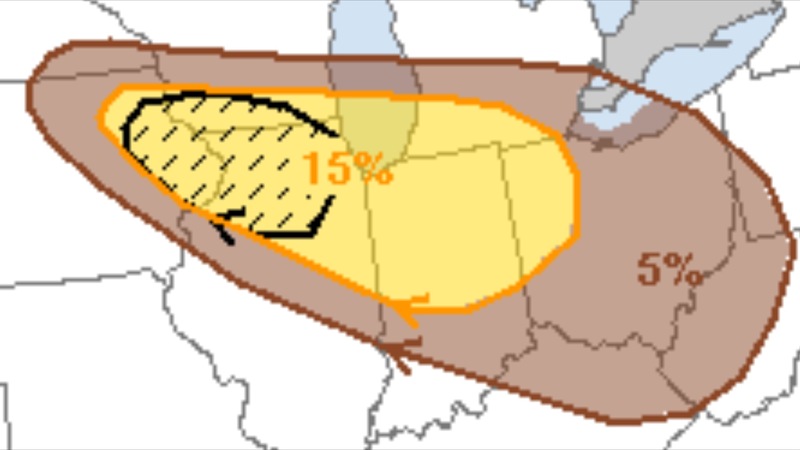 SPC’s tornado outlook has a big sausage-shaped area (hatched!) along western Oklahoma, but where do we target within a 96,000 square mile blob? 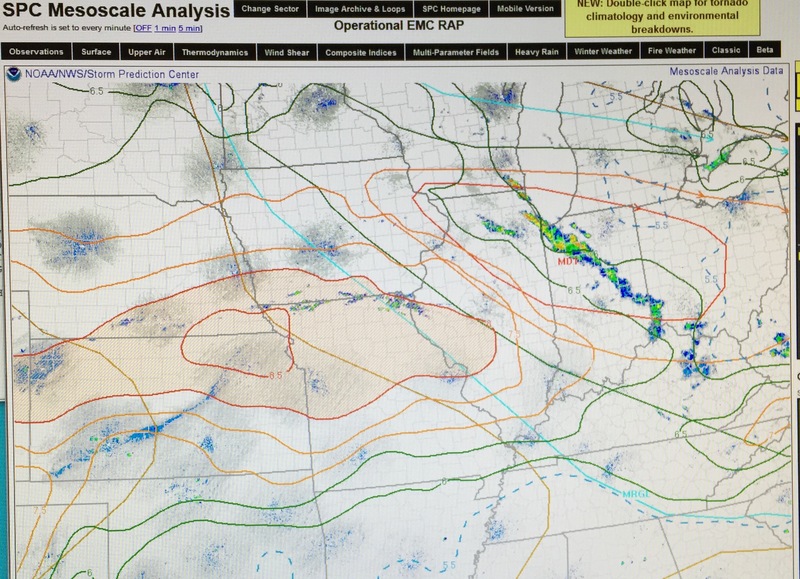 RATIONALE: Looking over RAP and NAM (WRF-NMM) models, I see 30-40kt 500mb winds over southwest Oklahoma. 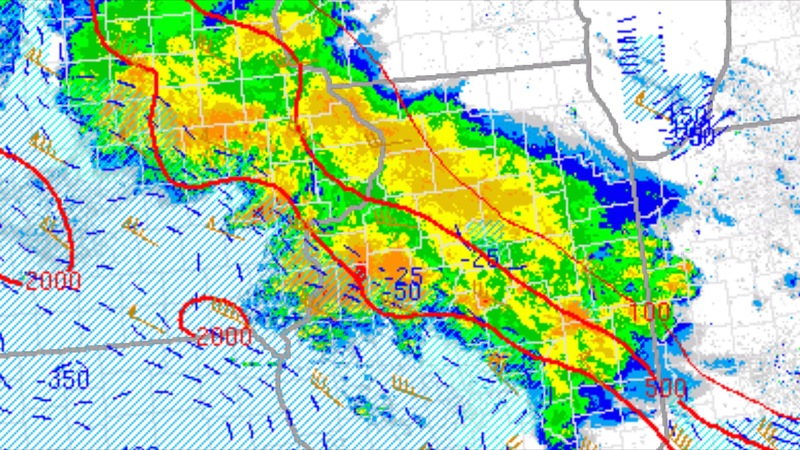 Checking this vs. the Dew point, moisture convergence, and CAPE/CINH, the area from the southwest corner of Oklahoma to Weatherford, OK looks like where I’d predict a good chance to strong tornadoes. Using the NAM model, I see precipitation broken out for my target area during the 18-21Z area. 0840CDT: If I started from a virtual base city of Salina, KS, I’d be at the waffle maker at someplace like the Days Inn Salina South reviewing these models. My departure would be at about 9:30 a.m., with an estimated arrival at Elk City, OK of about 3 pm (a 5.5 hours drive via I-35S and I40W). 13:34CDT: In the virtual world, I’m stopped to gas up for the afternoon near El Reno,OK, make a bathroom stop, and re-assess conditions. I regret having to bypass Moore, for a look from I-35, but I’ve headed west on I-40. I can’t observe the sky in the real world, but the surface map, visible satellite, and webcams give me an idea what I’d think if I were there: continue west for now, then re-assess at 14:30 or so.Temperature at El Reno is 77F with a *screaming* 68F dew point, scattered clouds, and a healthy 27mph wind. 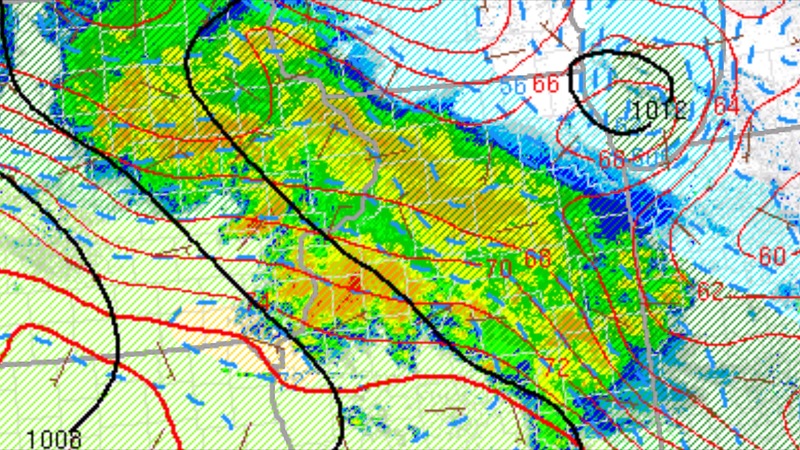 It seems that moisture is getting carried WAY north of my position. But, I also need to be patient! Maybe I’ll stop at Sayre, and consider going north, as storms are already popping west and north of there. A huge TOR watch area — the red shaded area in the map below— covers much of western Oklahoma and continues north into Kansas (where a really long line of chasers are heading west on US54, apparently try to catch the storm straddling the Clark-Comanche county line, south of Dodge City). 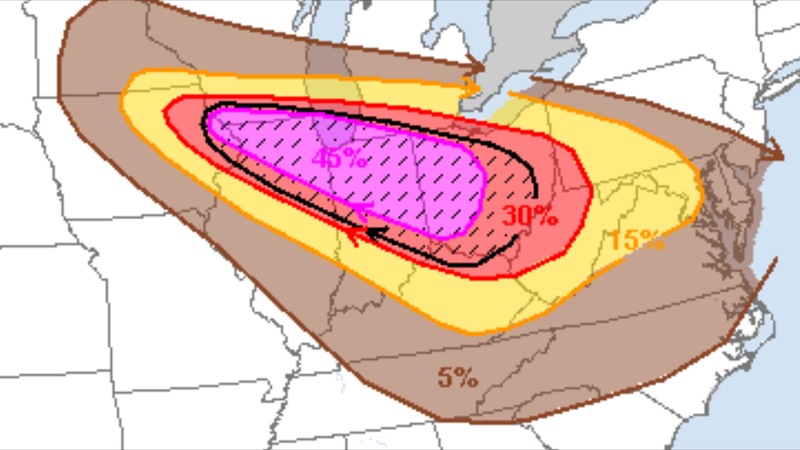 Now the hard part: do I abandon my original target or hope the southern storms produce. Choices, choices, choices! 1630CDT: Storms east and west. 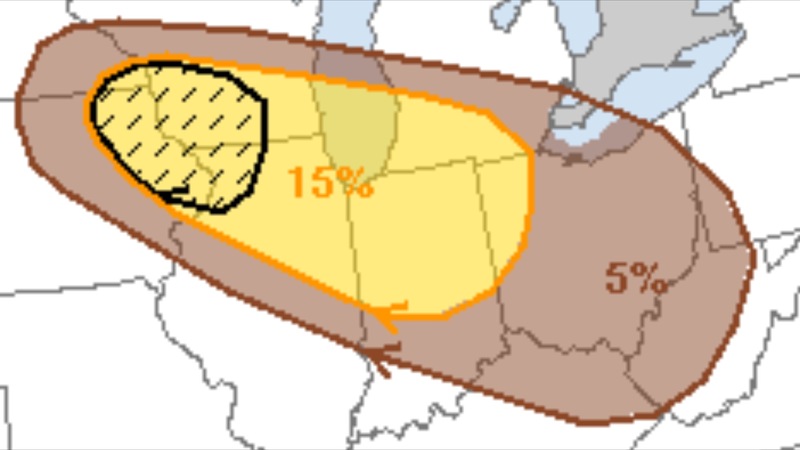 Will stick with the westerm storms, aiming for the ‘tail end Charlie’. Head south on US183. Problem: Not many road options until Clinton! RESULT: A work-related crisis took me away from this virtual chase, but I would have reached sever storms in any case. 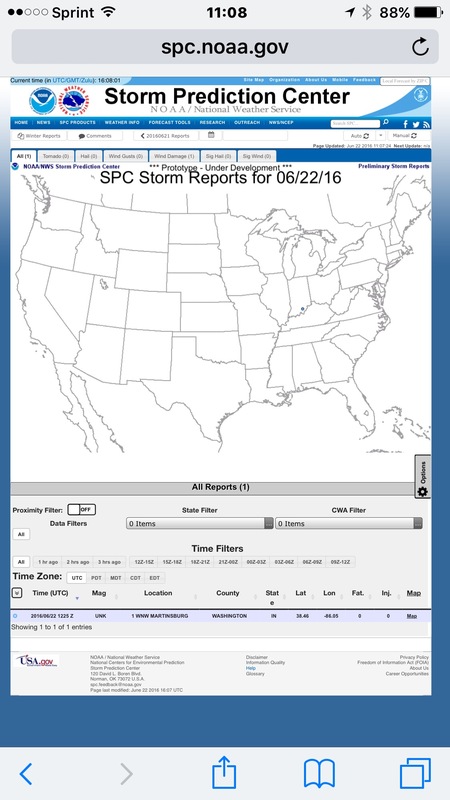 There were several tornado reports nearby, but odds are that I would NOT have seen them. As the map below indicates, most of the significant tornado action occurs north and outside of the originally predicted sausage-shaped area of high tornado probability. 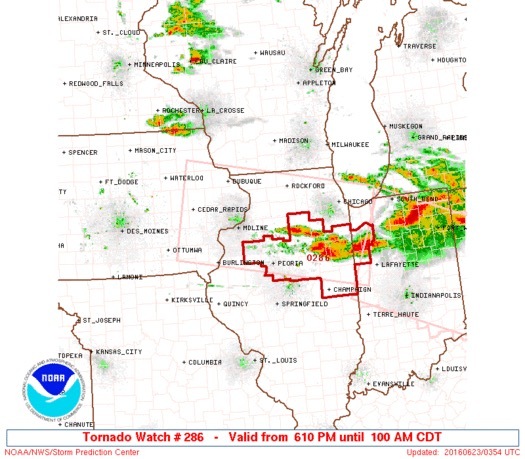 This entry was posted in chase strategy, Forecasting, Nowcasting, Observation, Virtual Storm Chase and tagged 2013 on 2013-05-30 by Lisa Beal. Heavy rain and nautical twilight level darkness (well before sunset). 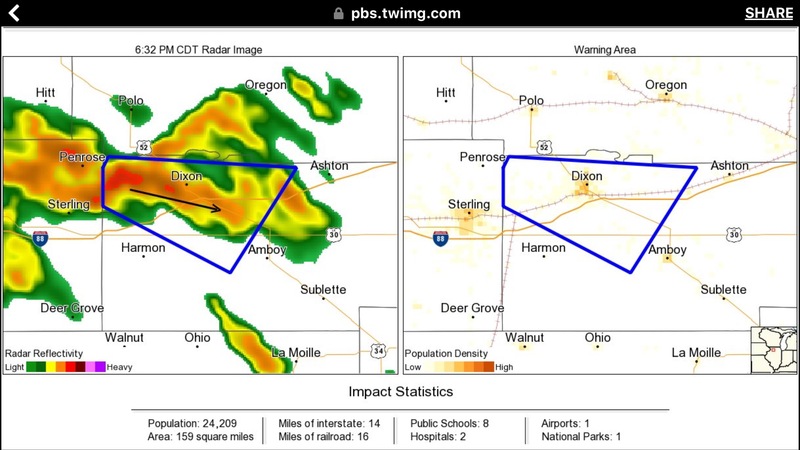 I experienced fat raindrops, pea-sized hail (reported to mPing only), and multiple lightning strikes less then 1/4 mile from my position (by the 5-count-per-mile method). Happy to be indoors, in case I lose power. Wow’ MyWARN looks like a slot machine when the coins drop. This entry was posted in Observation and tagged 2013, hail, lightning, Thunder on 2013-05-28 by Lisa Beal. 011 2002-05-07 Cullison, KS F2? 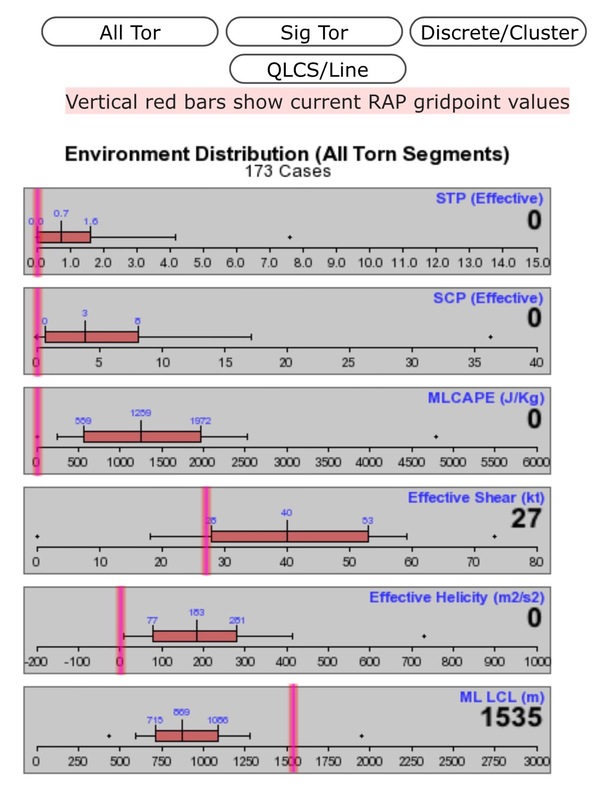 _summary_ First time chase *by* a tornado. YOW! 014 2003-05-09 Oklahoma City, OK F3? Night tornado slams into OKC Never seen so many power flashes! 027 2009-06-09 2359Z near Dyke, IA F0 2-minute tornado just N of US20 First ‘catch’ on a rare solo chase. No time to set up video! 030 2011-05-25 Ellsinore, MO F1? 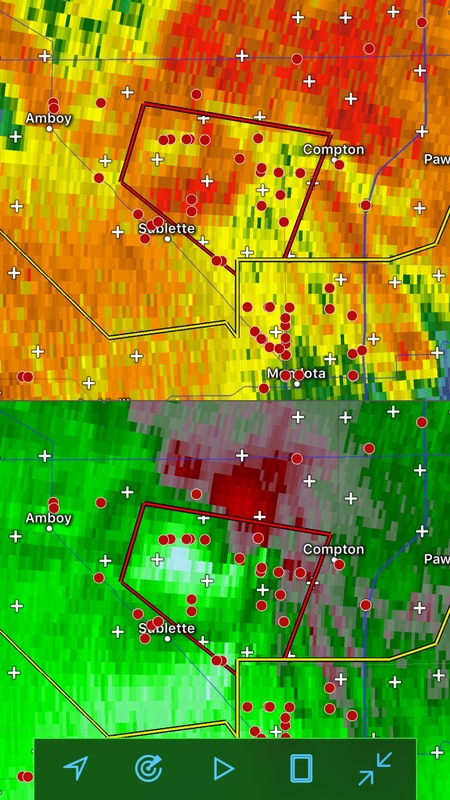 Tornado sped NNE across US60 A rare chase in southeast Missouri pays off for our team. 032 2012-04-30 S Wellington, TX F0 Weak, brief tornado Memorable because one of our vans was axle-deep in sand and mud only minutes beforehand. Almost missed this one (or worse)! 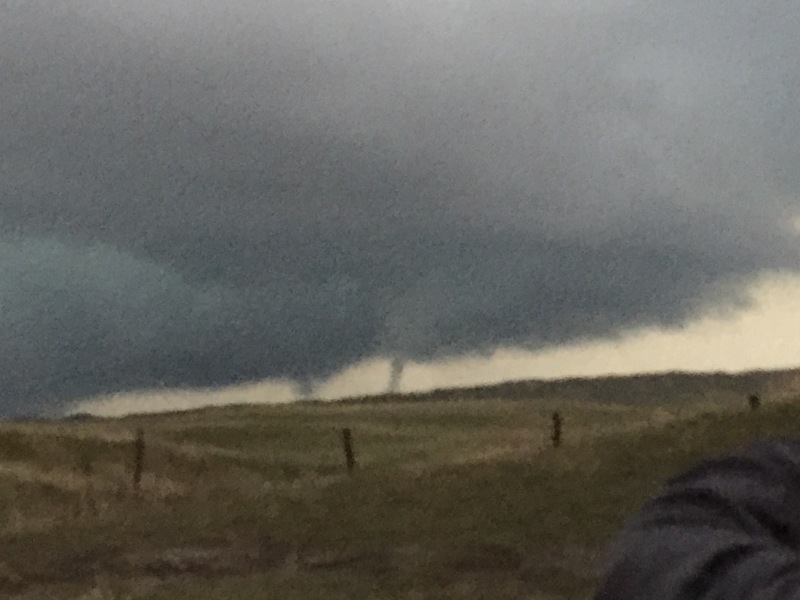 This entry was posted in Observation and tagged tornado on 2013-04-21 by Lisa Beal. Two phones ringing and several alarms (computers and weather radio) are sounding. I needed to get to work before water bars my way! 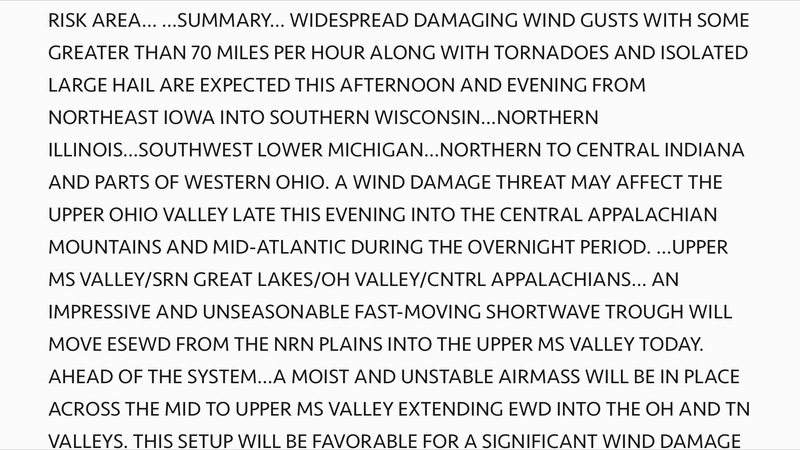 This entry was posted in Nowcasting, Observation, Training and tagged EMA, Flash flood, radar on 2013-04-17 by Lisa Beal.